It appears that the Safir upper stage uses two engines, probably R-27 derived, whereas the Simorgh upper stage has four such engines. Well, so I was at the AIAA Adelaide Student Section Industry Night yesterday evening at the University of Adelaide when I got to talking with a recent PhD graduate. He mentioned that he had worked on the second stage of a launch vehicle, helping to solve a problem with its engines. I asked which launch vehicle. He was a bit cagey with his reply. He then said he got his PhD from Iran! I asked if the vehicle was Safir and he was surprised that I knew about the vehicle he had worked on! Iran had asked him to work on their missile program, but he did not want to do that. He said that he hadn't had any involvement with Simorgh. So .... what was the story with the Safir second stage engines? I believe it was a vibration problem, as that is the area of his PhD research. The model of the Iranian sub-orbital spacecraft is again on display at the Kish air show. 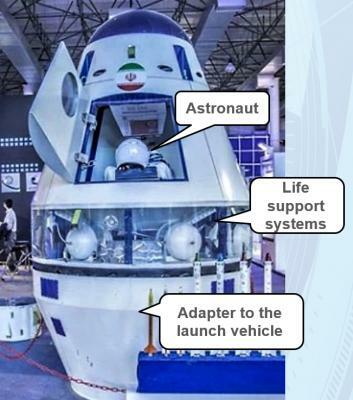 What's new, is the adapter to the launch vehicle, seen until now only in various illustrations. Thanks, Blackstar I choke on my hot coco when I saw this. 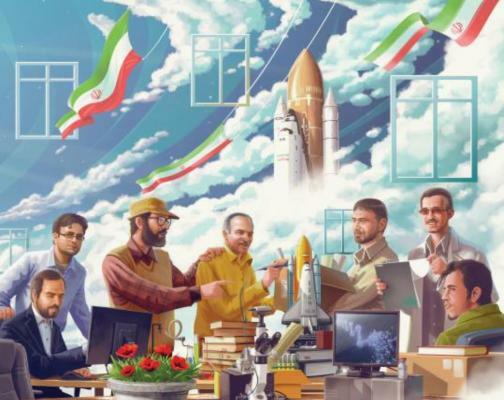 I don't see that piece of propaganda as saying Iran invented the Space Shuttle, but that if you study and work hard, you could help build an Iranian Space Shuttle in the future. The full image shows what could be a teacher giving books to some students. Notice the Iranian flag in the Shuttle. The base of the Shuttle is also different to the US and Soviet Space Shuttles. I think the windows in the sky represent windows to the future. Look into Iranian propaganda efforts. They are crazy. There's no need to try and rationalize them. OK, let's keep the thread on the vehicles. Our first article on Iranian space. Great article, William! Thank you!